260 North, Cherry Creek, courtesy of Open Studio Architecture. 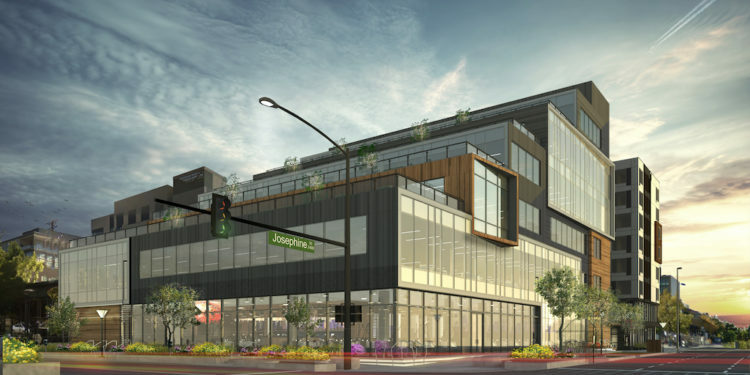 DENVER –260 North Josephine in Cherry Creek North recently topped out, moving this popular Denver neighborhood one step closer to achieving its goal of more office, retail, and parking space. The topping out milestone is especially gratifying given the complexity of the project. Owner Elevation Development Group (EDG), architectural designer Open Studio Architecture, and general contractor GE Johnson Construction Co. have collaborated to deliver this tremendous project across multiple zoning boundaries and in an extremely dense work area. 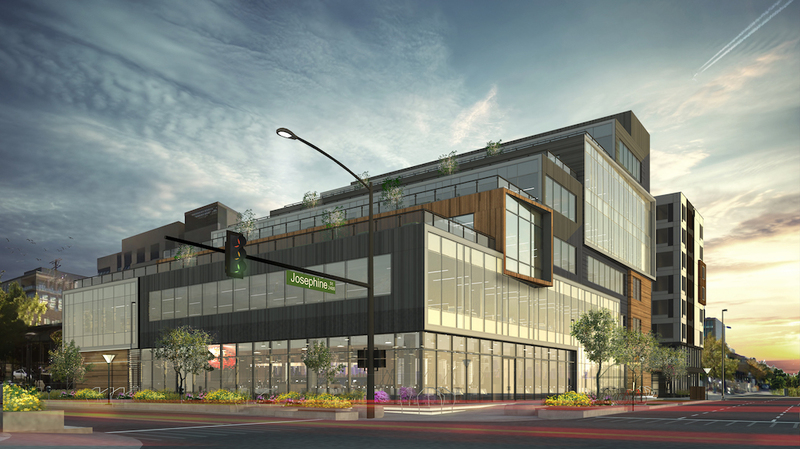 The result is a compelling, stepped-up design that preserves mountain views and allows daylight into the streetscape of Cherry Creek and the surrounding residential area. It also gives future tenants a variety of sizes and floor plans to lease. In fact, more than four full-floor tenants are already lined up. Situated at the prominent corner of 3rd and Josephine streets, 260 North combines 55,000 square feet of office space on four levels; 11,000 square feet of street-level retail space; and three levels of below-grade parking. EDG is excited to play a role in providing the area with a high-end, unique mixed-use space. “EDG is thrilled to add such a well-designed building to the fabric of the Cherry Creek North community,” said Principal Brent Farber. 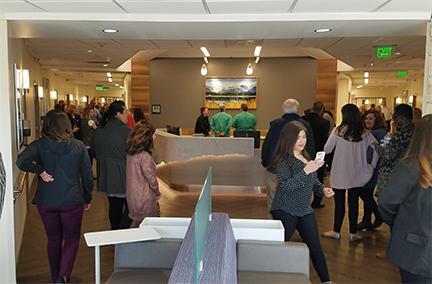 “We are very pleased with the work done by GE Johnson Construction Co. and Open Studio Architecture in creating this exceptional new building,” he added. The project is expected to complete in July 2019.